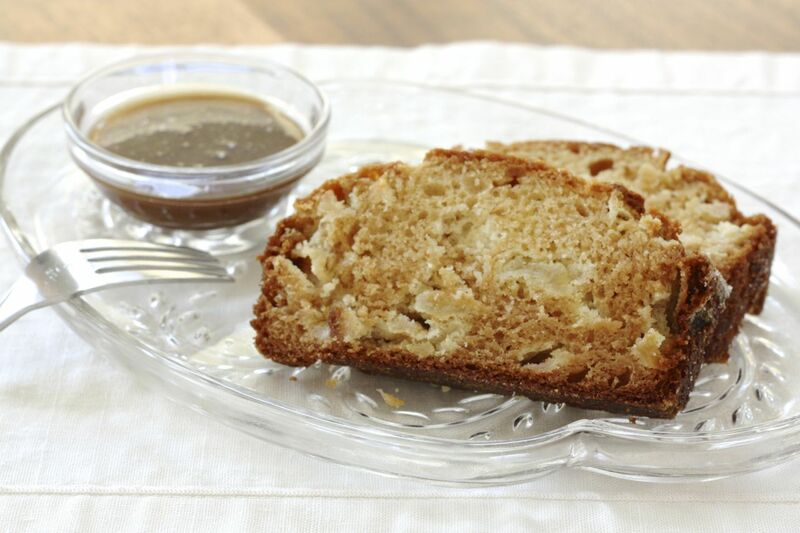 This Caramel Apple Amish Friendship Bread is a throwback to your childhood. Think summer-time fairs, Halloween, leaf-raking parties, candied apples. It’s the kind of recipe that tastes amazing straight out of the oven, generously drizzled with our caramel glaze, and tastes even better the next day. 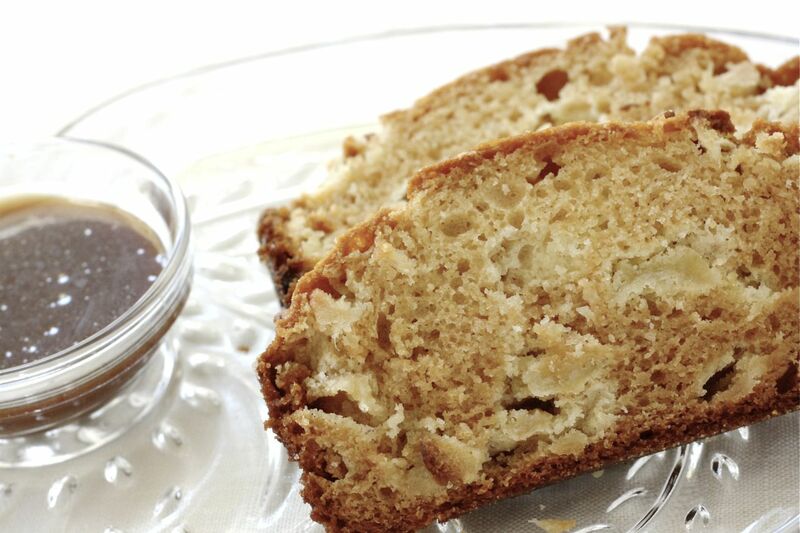 This Caramel Apple Amish Friendship Bread is a throwback to your childhood. Think summer-time fairs, Halloween, leaf-raking parties, candied apples. This loaf is wonderful served warm right out of the oven. Dried apple slices are readily available in most grocery stores in the dried fruit section. Where can I find caramel instant pudding? I can’t seem to locate it. Thank you Susan for getting back to me! I will definitely try it with the flan pudding mix. I am wondering if this would work with brown sugar instead of white sugar as we don’t have the different pudding mixes available in Australia. Has anyone used fresh apples instead of dried ones? Have lots of farm apples right now. I used fresh apples in mine and it was perfectly fine. I changed nothing else in the recipe. Just diced them up and added at the end. I made this bread yesterday with fresh apples.. turn out wonderful!! So YUMMY!! How did it work out, Tina? it was delicious! i made 2 loafs. husband came home from work for lunch, had some, he came back from work right after midnight. he came to bed and said ops one loaf gone! lol loved it! I would LOVE to try this recipe for crisp Fall Season; however I would like to use chopped Granny Smith apples instead of the dry apples. The caramel glaze sounds amazing and together should be perfect with a cup of coffee ! This looks amazing! I would make this for my Mom for Mother’s Day–she would enjoy it! Does the Carmel Glaze go in the bread recipe? The directions say to mix all ingredients as listed. The glaze is listed as the last ingredient. Is this the first part of the starter batch, or is this after you add the day 6 add in’s? You would bake on Day 10 with the remaining cup of the starter, Rebecca. If you are regularly maintaining a starter (more than 10 days), you can bake at any time but it’s always best on the day of the most bubbly activity, usually the day or day after a feeding. Does this help?